Start by taking a good look at the recipe. 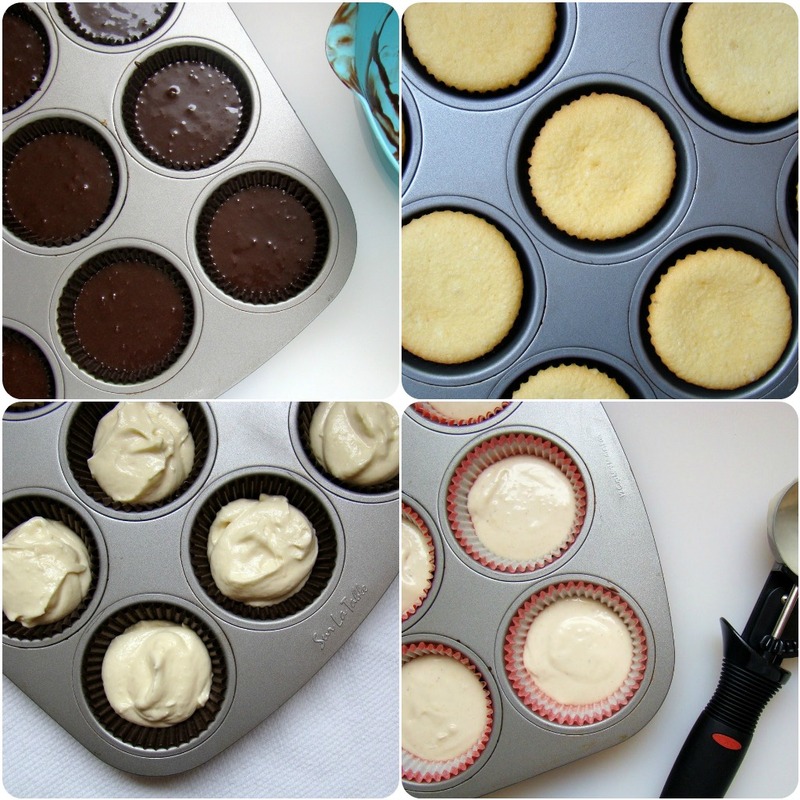 It might seem logical that you’d just take any old cake batter, pour it into cupcake liners and BAM—perfect cupcakes. Sometimes, this is totally true and you run into a cake recipe that works well both ways. Other times, recipes that are meant for layer cakes just aren’t as great in baby cake form, producing flat or sunken cupcakes from having too much or not enough leavening for a smaller size cake. Because cupcakes are fabulously (in my opinion) ubiquitous, there are so many recipes out there now that are written specifically to be made as cupcakes—seek those out for best results. Get yourself an oven thermometer. The cardinal rule of all baking is to make sure that your oven is baking your cupcakes at the right temperature and that the oven has thoroughly preheated. Cupcakes are especially temperamental because of their wee size. Accurate and even heat for baking is super important for cupcakes. unless you’re using a mixing method that calls for cool or cold butter. This goes for most baking recipes to ensure a well-mixed batter, but pockets of butter bits or streaks of unblended egg white show up a lot more easily in a cute little cupcake as decidedly not-cute tunnels. If I’m short on time, I speed up the warming of ingredients by cutting the cold butter stick into small pieces and placing the eggs in a bowl of warm water. Regular milk can be zapped in the microwave for a few seconds, but buttermilk cannot—it likes to curdle when heated. I tend to underbeat the batter just a touch less than I would for a layer cake during each stage of mixing. Because cupcakes are smaller, I love it when the cake is a tad denser, when they yield to the tooth ever-so-slightly when bitten into and hold their shape throughout eating. This is not to say as dense as a pound cake, but more compact than, say, a cake mix might produce. Incorporate some air into the butter and sugar, a bit more with the eggs, and of course scrape down your bowl occasionally to ensure everything is blending smoothly, but avoid overbeating at any stage. Beat as slow and as little as possible once the dry ingredients are added to avoid activating the gluten in the flour and toughening the cake. Think about the flour you’re using. This is related to the above idea about the density of the cake. I’m not crazy about cupcakes that use all cake flour, because they tend to be so light and delicate that they fall apart when you take a bite. My favorite cupcake recipes tend to use all-purpose flour, and sometimes I even swap out some of the AP for bread flour, which has a higher protein content and gives the finished cake a bit more muscle. Again, never overbeat once the flour is added—reduce the mixer speed to the lowest setting or even fold the batter by hand at that point to be extra sure. You want extra structure here, not toughness. Don’t overfill the cupcake liners. 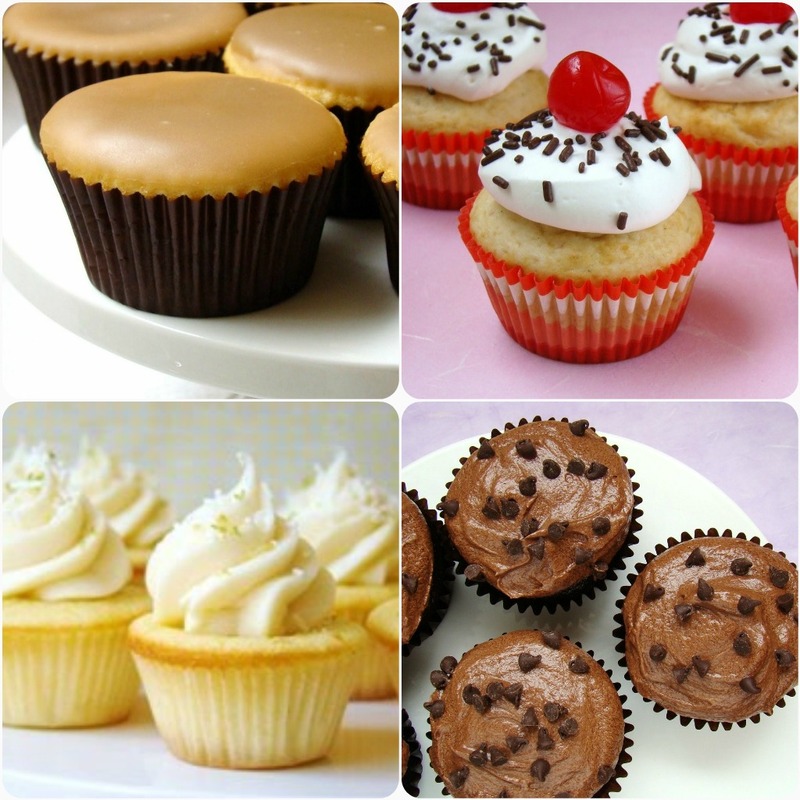 The golden rule of cupcakery is about 2/3 full, and no more than 3/4. I like using an ice cream scoop to make portioning easier and consistent. Bake one tray at a time if at all possible. Sometimes if you’re pressed for time, you just can’t bake the trays individually, but if you can, baking them one tray at a time in the center of the oven usually gives you the most even baking of all the cupcakes in the tray. for at least 12 to 13 minutes (and about half that time for minis). They need a good blast of heat to get some structure going, and if you rotate the pan and jostle them too soon, you might knock some of that air out. That’s usually what gives you those few cupcakes that look all sad and deflated when the others are standing proud and tall. After that initial baking time, carefully rotate the pan 180° to finish baking. Because they’re so small, cupcakes can go from perfectly done to dry and overbaked in a flash. Test them with a toothpick and pull them from the oven when a just a few moist crumbs still cling. The carryover effect from the heat held in the pan will finish the baking from there. If the toothpick comes out completely clean and dry, chances are you’ve overbaked them. before attempting to remove them to a cooling rack to cool completely before frosting. When choosing a frosting, think about the balance of sweetness and texture. One should compliment the other! If you have a very sweet and/or dense cake, think about a lighter, less sweet frosting, and vice versa. Thinking about balancing the overall sweetness of the cupcake can also guide you in deciding how much frosting to put on each cupcake. 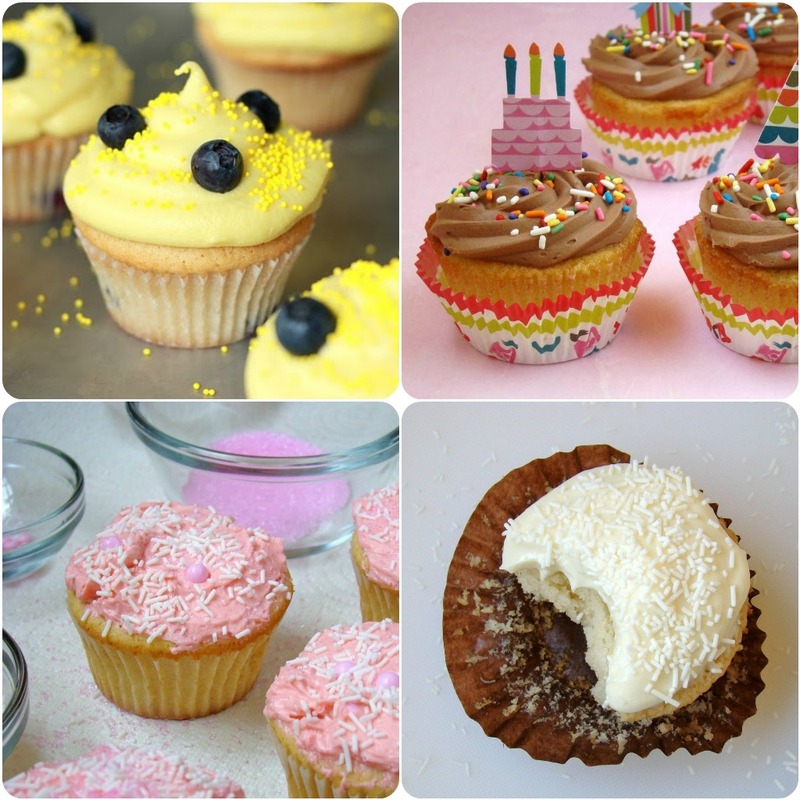 Another awesome way to add textural interest to cupcakes is with decorative toppings. Usually we think of a smattering of sprinkles as a way to make the cute even cuter, but it goes beyond the visual effect. Coarse sanding sugars, jimmies and the like don't just look pretty, they add a nice crunch that plays really well with a fluffy, creamy frosting. Take your cupcakes to the next level with interesting frosting and cake pairings. I am a sucker for a classic vanilla-vanilla combination, but doing something decadent and unexpected like a sweet spice cake with a bittersweet chocolate fudge frosting is dynamite! Getting creative with your flavor combinations is a surefire way to make those crazies who scoff at cupcakes quite literally eat their words with your mad cupcaking skills. Boo ya!